Seaford Letting Agents, Coast to Country Lettings & Property Management are one of the area’s best known and most respected independent letting agents in Seaford. Coast to Country Lettings have built up a long standing reputation for reliability and understanding the unique needs of our clients. 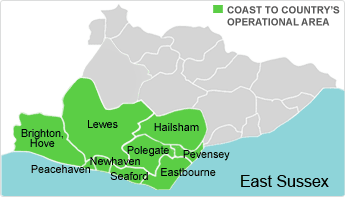 Whilst being an expert Seaford Letting Agent we also focus on areas throughout Sussex such as Brighton, Eastbourne, Newhaven, Peacehaven, Hove, Lewes and Saltdean. Highly competitive fees – no hidden costs. Contactable outside of normal working hours. As a responsible Seaford Letting Agent, we are committed to protecting the best interests of all of our landlords and tenants. We also hold Professional Indemnity Insurance. ‘I am always very impressed by this letting agent’s attention to detail and the quick and efficient way in which they respond to any query. They now manage four properties for me and more will be added in the future’.